Friends! Friends of friends! Friends of friends of friends! I ask for your indulgence for a moment so as to alert you to the Fuzzy Logic fundraiser that is entering its' final week. As many of you know, I've been trying to raise some funds to help out with the upgrading of my technology. To blog is to need a functional computer, and my hand-me-down is getting long in the tooth and rather tempermental (like your favorite cantankerous old relative, possibly), rendering me more than a little technologically-challenged. So a few weeks back I decided to start a Booster campaign. Why, you ask? Well, friends, to be frank with you, the life of an unemployed blogger can be a little difficult. It also makes upgrading things on ones own next to impossible. Believe you me, if I could, I would. But alas! 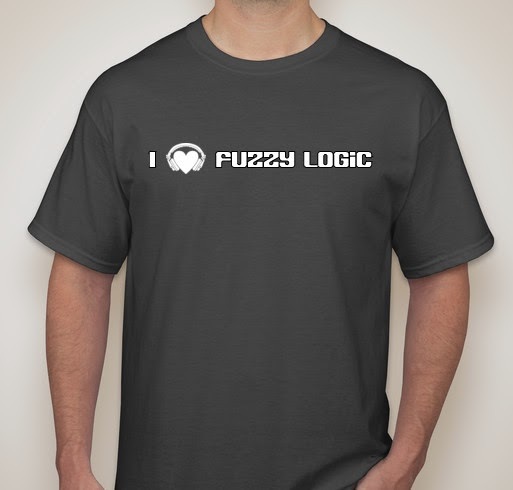 I finally decided that it was finally time to try to make some Fuzzy Logic tee shirts happen, something I've wanted to do for quite a while now, and that any and all funds raised from the campaign would go towards the purchase of a computer. 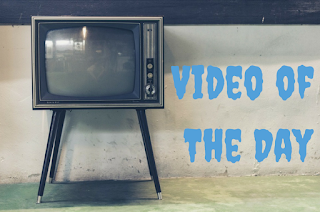 With upgraded technology it'll be much easier to continue to put forth content that (I hope) you know and love. It brings me nothing but joy to be able to share my finds with you, and while I'll soldier on regardless, any and all help is appreciated more than I can even say. Check out the campaign if you have a minute. It will end late night on April 23rd. To make the tees a reality, 20 need to be ordered, and there's still a ways to go. If you can help, you have no idea how thankful I will be. Much love, and much thanks for your indulgence. You're too good to me, really.